The holidays are coming, and while it is great to spend time with family and friends, it also means travelling on some of the busiest days of the year. Insider Picks and Stack Commerce have put together unique deals for some items to help you breeze through baggage check and weather those delays. Don’t get caught paying overweight bag fees. This handy digital scale will make sure you’re coming in at or underweight before you leave for the airport, so no ugly surprises once you get there. It’s got an easy-to-read LCD screen that measure in kilograms, grams, pounds, and ounces to keep you honest in every country. The scale measures weights up to 110 pounds, powers off automatically, and alerts you when your bag is overweight or when the battery is low. Get 41% off The Handheld Luggage Scale ($US17.00). The Smart Travel Router serves two primary functions, charging and networking. Both are key to staving off boredom while waiting for the next leg of your journey. 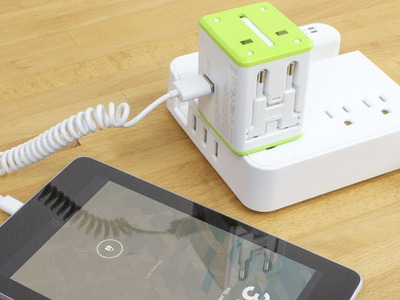 Charging: The Router fits electrical outlets in over 150 countries including the US, Canada, Mexico, England, and China. 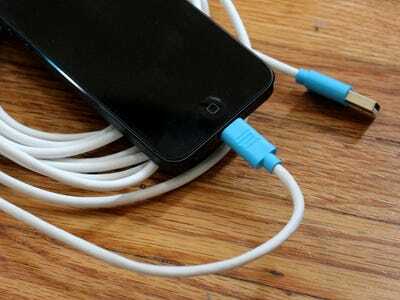 It works for any electronic device, and can charge two devices simultaneously. Everything retracts to make it easy to store. This tool was built for the sole purpose of making sure your devices stay alive and connected anywhere your life takes you. 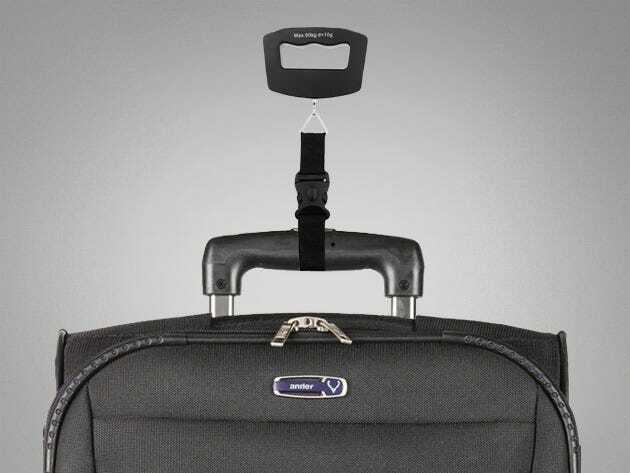 Get 30% off The Handheld Luggage Scale ($US34.99 + Free Shipping). 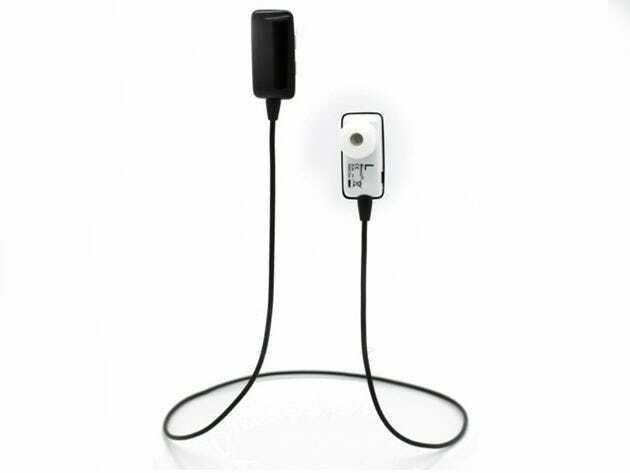 Note: This charger adaptor converts the power prongs only and does not convert electrical output current and voltage. Please make sure your device carries an electrical converter to match the electrical output of the country you will be visiting. This charger adaptor is recommended for use with unearthed or double-insulated appliances only, as it contains no grounding. The worst part about having to charge up at the airport is that you’re stuck sitting by the outlet. Pair your new charger/router with this Apple-certified Lightning Cable, and you’ll triple your tether and be able to reach a real seat. Get 52% off The 10 ft. Apple Certified Lightning Cable ($US18.99 + Free Shipping). Travelling is loud. These TOCCs Feather Buds have a noise-cancelling outer shell, which will let you trade that screaming baby for your favourite playlist. They’re light, and because they don’t need to connect to your device, there’s less cord in your pocket and less opportunity for tangles. The bluetooth transmission is clear, crisp, and works up to 30 feet away. They also have a built-in microphone, so you can take that last-minute call and stay hands-free. Get 58% off The 10 ft. Apple Certified Lightning Cable ($US24.99 + Free Shipping). Shaving while travelling can be frustrating, especially if you use a razor at home. The ShaveTech Electric Razor is USB-chargeable, so if you have a phone charger, you can use it. It’s the same size as an average smartphone, so it won’t take up much room, keeping you travelling light. 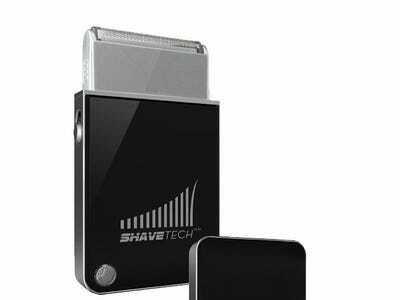 Get 36% off The ShaveTech Electric Razor ($US18.99 + Free Shipping).